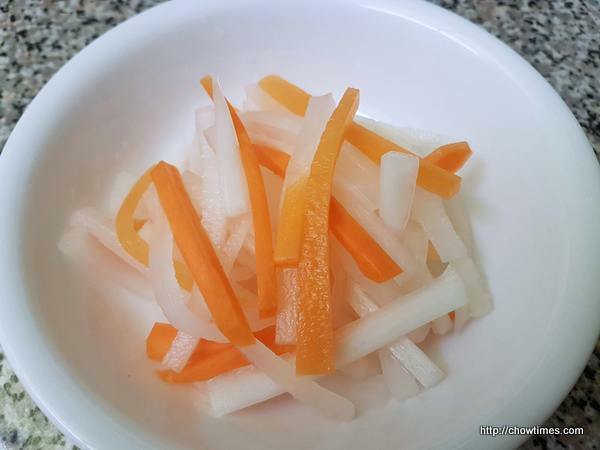 Ben made some daikon and carrot pickles as appetizer at home. I’m impressed by his patience in cutting the daikon and carrot into the match stick size. These daikon and carrot refrigerator pickles are found in Vietnamese banh mi sandwiches and is known as “do chua”. Some Chinese restaurants also serve this as appetizers along with fried peanuts.